CADWorx® Structure includes the critical tools you need for effective structural design. CADWorx Structure is easy to learn and has reduced the man hours needed to create a structural design as compared to CADWorx Steel by more than 50%. Create revenue earning deliverables more quickly and accurately. 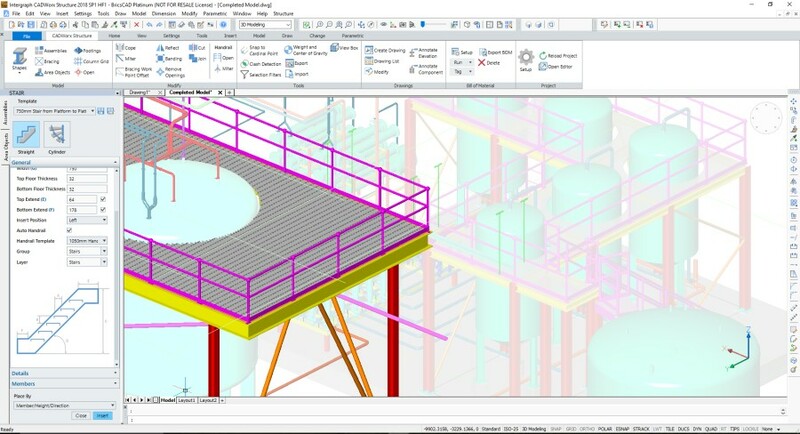 Cost Effective Concrete and Steel Design Efficiently create fully intelligent, 3D structural designs with the unparalleled flexibility and collaboration of a DWG-based system. Automation provides the designer with tools that minimize repetitive steps in modeling design tasks. Grids and multiple member placement options position structures with accuracy and precision, increasing confidence in your three-dimensional representation. Productivity in Assembly Templates Effortlessly model secondary steel for access control by defining standard templates for handrails, ladders, stairs, grating, and decking. Whether the project requirements define industry or company standards, CADWorx Structure allows the designer to replicate the necessary arrangement of these accessibility objects. Customization options are incorporated in a palette-type user experience, allowing replication of arrangements encountered in industrial applications. Grating and decking can be rendered to accurately depict these objects in your 3D model. 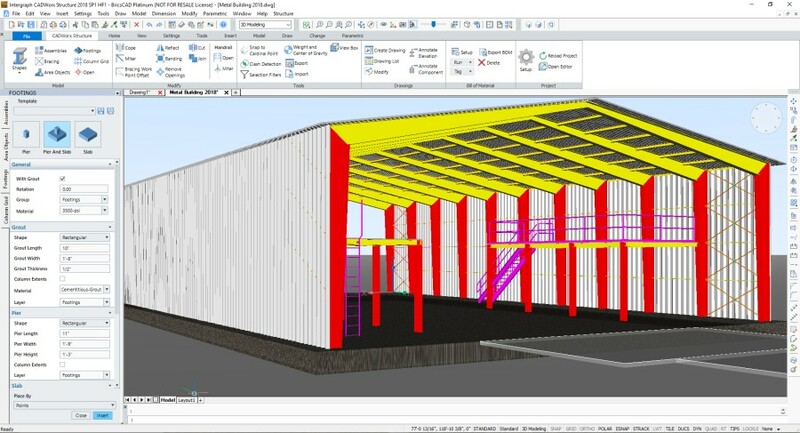 Capitalize Your Time Investment with Integration Stop remodeling your structure when using structural analysis or structural detailing software. Import and export using an industry standard exchange format or take advantage of the close integration CADWorx Structures has with GT STRUDL. Change management tools give the designer control when importing unfamiliar modifications made by the detailer or engineer. Timesaving Drawing Production Easily create 2D plan and elevation general arrangement drawings of the structure model by using drawing templates that include dimensioning and annotation settings. Out of the box drawing templates include single line steel and 2D representations that support multiple views. Effective Material Reporting Generate accurate, user-configurable bills of material in the most popular database formats or for inclusion on a 2D drawing. Reports can be used to show summarized lengths/weights for each object, single object length/weights, or cut lengths/weights.